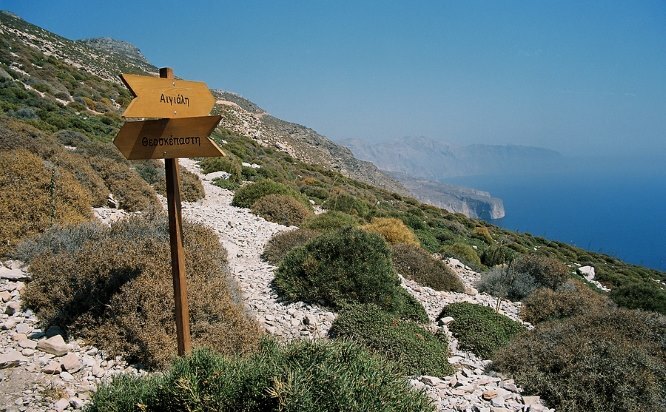 The rugged mountain scenery of Amorgos sets it apart from most of the other islands in the Cyclades, and the lack of good beaches means that it has not succumbed to mass tourism. Instead it attracts visitors who want to see the Greek way of life, and find that itself a better way of relaxing than simply lying in the sun for several hours. Amorgos is a long, thin island, and the mountains are such a dominant feature of the landscape that it was not until the 1990s that a decent road was built making for easier connections between the northeast and the southwest. Until then, it was often more comfortable and just as quick to travel by boat. Its challenging scenery has been no barrier to cultural development, as it was settled as long ago as 3300 BC and was one of the most influential centres of the Cycladic civilisation when there were three important cities here: Minoa, Arkesini and Egiali. Later the Romans used it as a place of exile, before it fell like the other nearby islands under the Venetians and then the Turks. During the regime of the Colonels it was again used as an island of exile for political prisoners, but received a boost to its image and its tourism figures when it featured in the 1988 film The Big Blue by French director Luc Besson. The main town is Amorgos Town, or Chora, a wonderful example of a Cycladic town, with white houses gathered underneath a 13th-century Venetian castle, several windmills and over forty churches and chapels. Don’t miss seeing Agios Fanourios, the smallest chapel in Greece with room for just three people inside. The principal town in the north of the island is Ormos Aigialis, or Egiali, the main port and possessor of the island’s only sandy beach. 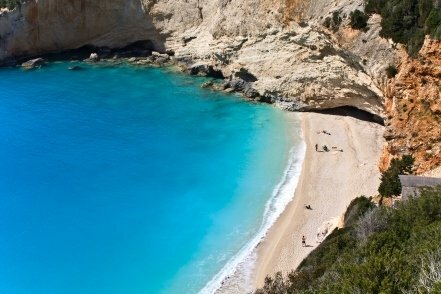 It is therefore as developed as resorts get on Amorgos, and a good base for exploring the hills of the north of the island with their beautiful hill villages, or walking to deserted coves. 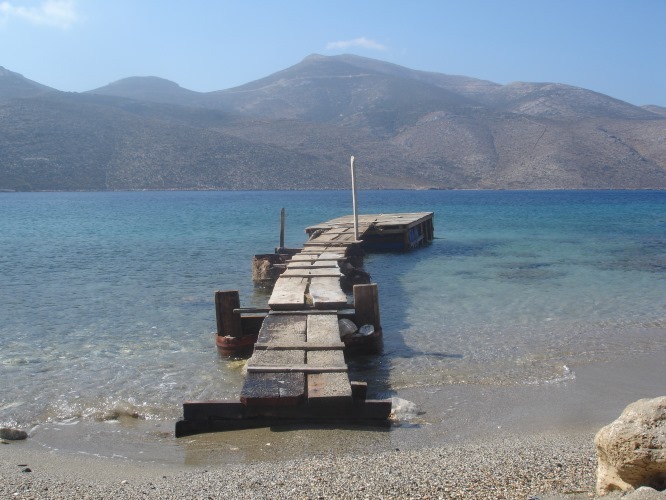 Amorgos does not have an airport. The best way to get there would be to try to find a cheap flight from Athens or elsewhere to the nearest airports at Naxos, Mykonos, Santorini, or Paros, and take a ferry or catamaran from there. Amorgos is in the Cyclades and its nearest big neighbor is Naxos, but other islands including Santorini, Mykonos, Paros, Ios, and Astypalaia are not too far away either. There are regular ferries or faster catamarans to Amorgos from all those islands as well as Tinos and a few others. There are several sailings a week from the Athens port of Piraeus too, although it will take you several hours to get there. From the port of Rafina there are both regular ferries and faster high-speed ferries. 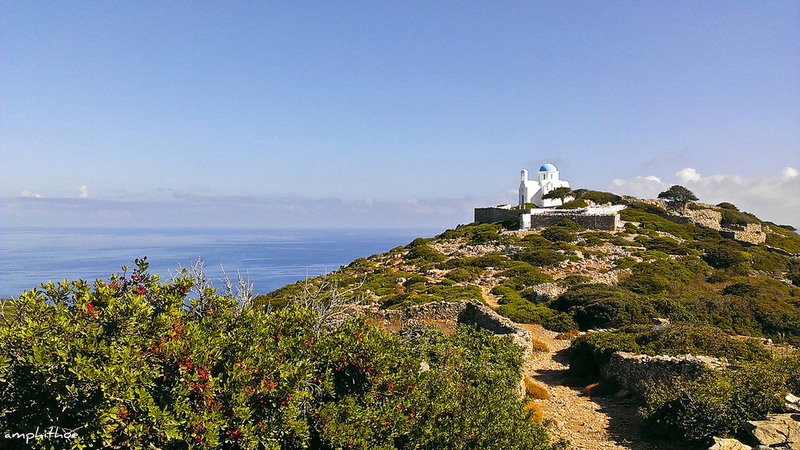 Amorgos has never been one of the busiest islands and some guidebooks don't even list it. But in the past few years more and more people have discovered its charms, which include good beaches, dramatic mountain scenery and consequently some good walks to be had. The main town on Amorgos, Hora (or Chora), is roughly in the centre of the island, and one walk everyone should make is to the stunningly located Monastery of Panagia Chosoviotissa (see photo, right, by Jan Sundstedt). Apart from its setting, the main appeal for Greek visitors is an icon which dates from the 11th-century, when the monastery was founded. The monastery is still occupied by a few monks, and modest dress is required when visiting. Admission is free but donations are naturally welcomed, and the monastery is open daily in the mornings and again for a couple of hours in the early evening. Check locally for current opening times.